Hong Kong is renowned as a gourmet's paradise. At Park Hotel Hong Kong, our chefs are determined to do everything in their power to entice you with the endless pleasures of the kitchen. Savouring exquisite cuisine and sipping excellent vintages in a luxurious and elegant ambience at Park café, wine and food aficionados will enjoy what’s sure to be the ultimate buffet dining experience. Vibrant and modish, Marigold Bar remains the hotspot in Tsim Sha Tsui, proving a lively atmosphere to enjoy handcrafted cocktails or afternoon tea – away from the hustle and bustle outside. 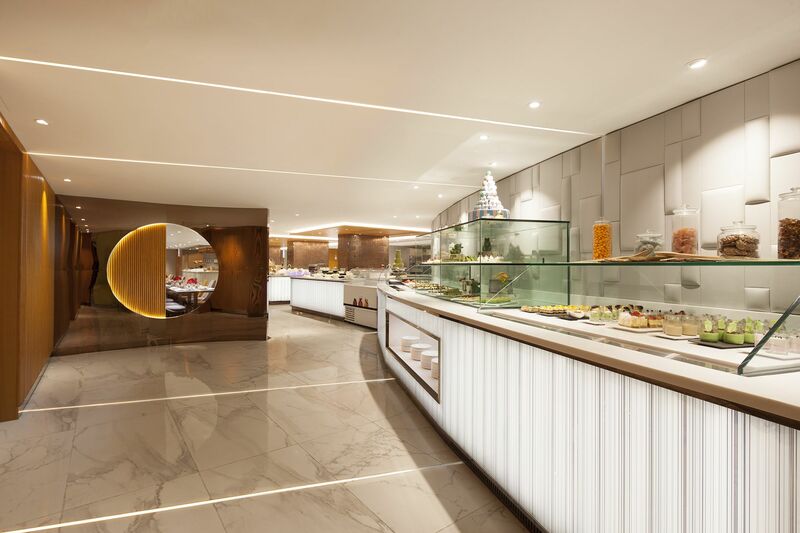 Embark on a gastronomic voyage across continents with Park café’s extensive all-day buffets offering a range of delectable International cuisine. Park café will be your ideal choice for an early-morning business networking session or evening dinner pit stop after shopping or city-sightseeing. Park café is fuelled by culinary creativity and an inspiring modern approach. It has an excellent reputation for its lively atmosphere and superb international buffets, featuring a selection of finest seafood, sushi and sashimi highlights and luxurious culinary which propound a wide variety of cuisines portraying the diversified facets of Park Hotel Hong Kong. Park café is a restaurant where you will always arrive with high expectations and leave with satisfaction to the applause of your palate. Hong Kong's emblematic nightlife scene always has room for a high energy spot like the Marigold Bar. Constantly pushing creative boundaries, our bartenders tease the senses with an extensive range of cocktails, wine and other beverages whilst the latest cool grooves set the stage for relaxation and congenial conversations. At this chic bar in Kowloon, every hour brings a new level of exhilaration and unravels a multitude of opportunities for power meetings, evening cocktails and after-hour drinks. Stop-by Marigold Bar to enjoy signature cocktails, wines and snacks amidst a chic ambience. Loved by locals and visitors alike, over the course of each day, there will be exciting offers where you will be able to get the drinks at a special deal to lift your spirits up.